This is Thor, the fourth cat I'm profiling. He was my first bottle baby kitten, and he's still my baby to this day. There's really no other way to get a kitten to imprint on you that strongly. 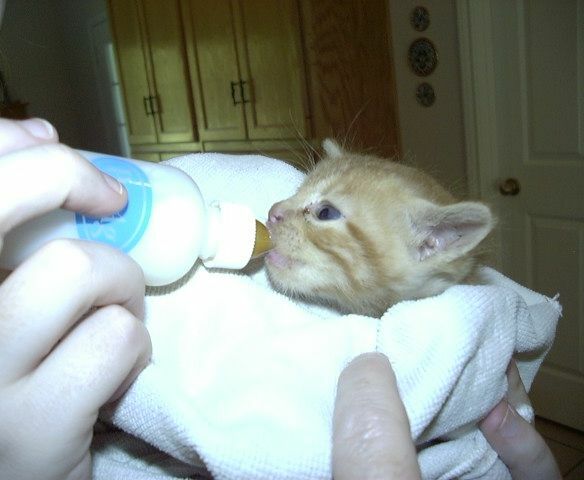 Thor was found by a friend of ours at about one and a half weeks old in a puddle after a rainstorm around October of 03. We weren't sure he would live, but just kept feeding him steadily and he pulled through. He was always a ferocious little thing, so we settled on Thor for a name. He is completely orange, even his nose is orange! He can be defensive around strange people, cats, or dogs - he can definitely hold his own - but with us he's just a big baby. (Are you seeing a theme here with our cats?) He worries if we walk too far from the house and follows about 10 feet behind making pitiful warning cries. He absolutely HATES it when you whistle. If I ever go sit down on the porch he's up in my lap immediately; and whenever I carry him he wraps his arms around my neck and nuzzles me like he used to when he was a kitten. He is also the mighty slayer of hummingbirds. He knows which flowers they prefer and will hide in the foliage until one flies up and jump and pull it down. 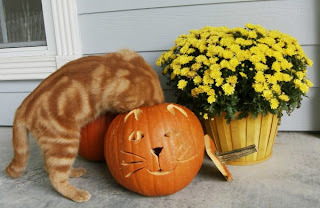 Only one more cat to go! 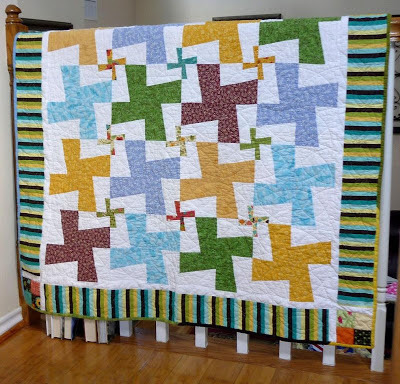 By the way, there may be a severe lack of quilting material on this blog for a little while. I'm just not in the mood lately. Another cat, and a new toy! This is Turtle, the third cat I'm profiling. There were four kittens in Turtle's litter, all black and white. They were born the summer of 07 under a friend's trailer. After their mother was killed in the road the kittens started meowing pitifully from inside the ducting under the trailer. Our friend told us to come get them if we wanted them to live, so we did. 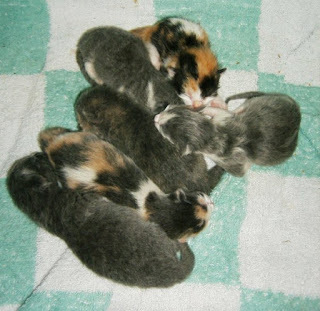 One kitten died mysteriously after a day but the other three thrived. I bottle fed them (every four hours, throughout the night...) for about a week or two and then they started eating real food. One of his brothers was given away to an older lady and the other was incompletely neutered and subsequently ran away. Turtle was briefly bonded to a fuzzy house shoe during his kitten-hood. He got his name because there are white gaps at the tops of his legs, base of his tail, and back of his neck, as if the "shell" of black on his back stops there. He is the largest of our cats. I've always said he's dense, because he's just so much heavier than he looks. He is a lazy, happy go lucky kinda boy. 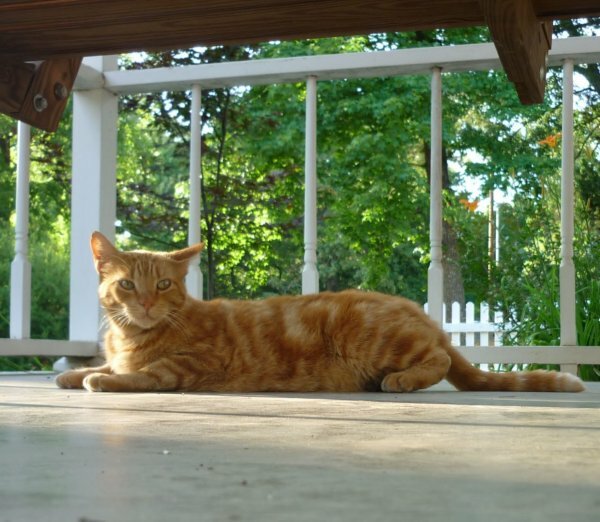 He purrs constantly, everywhere he goes, and when he purrs he squeaks, as if his motor has a squeaky wheel. He also drools when he purrs, which can be a little gross; our house is full of "special" cats. Check out this cool new cutting mat I got! It's small to fit on top of my desk and it has two parts so it spins. You don't have to turn your fabric, just spin the mat to get the perfect angle. It's pretty nice. We interrupt your regularly scheduled blogging due to migraine. Fortunately, it's Wednesday! So instead, enjoy this picture of Thor, who'll be coming up soon in my profiles of all the local cats. This is Calley, the next cat I'm profiling. Yes, I know that's the most un-original name for a calico cat ever. I named her E.T., but my parents overruled - so what can you do? 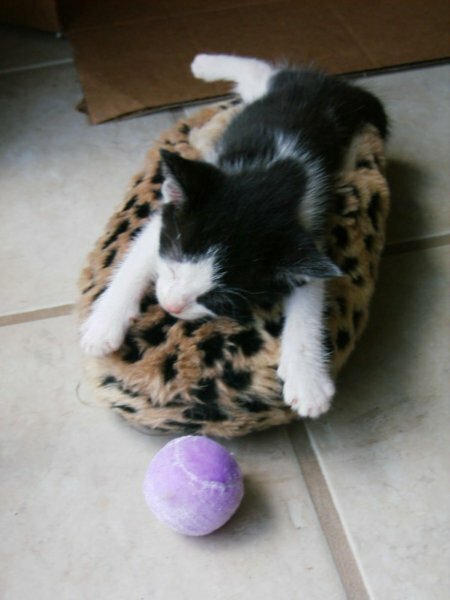 She is the other kitten we kept out of Elvis' litter. She is the only girl out of our cats and she is absolutely the Princess (and she knows it!) Everything has to be her way all the time. She can be sweet when she's in the mood, but she's definitely more fickle than our boys. 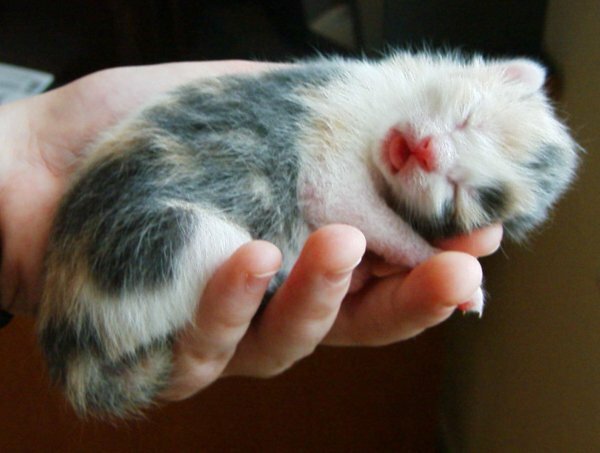 When she was a baby she really looked odd, even alien, with her washed out fur, tiny, flat head, and strange eyes. She's a genuine knot head, figuratively and literally, having a little bump on the back to her skull. She was my dad's favorite of that litter, which is why she got to stay. I keep hearing him call her all the pet names he called me growing up, so I think I may've been replaced by a cat. 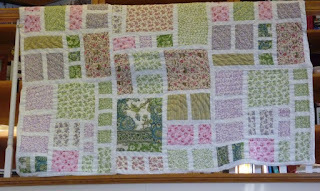 On the quilting front, today I basted the double Irish chain, or at least I was until I ran out of pins. It will have to remain taped to the floor for a couple of hours until I can run to the store. I am still undecided about the quilting for this one. I know I want to do some kind of straight line quilting. I am debating between quadruple diagonal lines running through the chains, possibly with something more elaborate in the blank squares, or horizontal and vertical lines a quarter inch on either side of the seams. I feel like the grid quilting would give it a more modern feel, which I like, but I'm worried it will overwhelm the piecing pattern. I also find the diagonal lines kind of boring, but I know it will accentuate the pattern and I could try something fun and new in the blank spaces. I'll probably start quilting tomorrow, so, any advice, guys? As you know this a blog about cats and quilts. Since I've returned to my parents' house for the summer I'm back in the company of all five of our cats, so I'm going to profile one per post until I've covered them. Don't worry, I'll still talk about quilting, too. Elvis was born in the summer of 08. His mother was a stray who stayed with us to have her kittens. There were 3 boys and 3 girls; Elvis was the only one with long hair. (On the right of the kitten-pile). He's a total sweetie, baby boy. He likes to roll over and have his belly scratched and lounge around on the porch. He normally has wild, dense hair that's always getting stuff in it when he plays outside. A cloud of debris follows him (like Pigpen in Charlie Brown), which I part of the reason he gets a summer hair cut; besides, it's hot. Now, on to quilting! 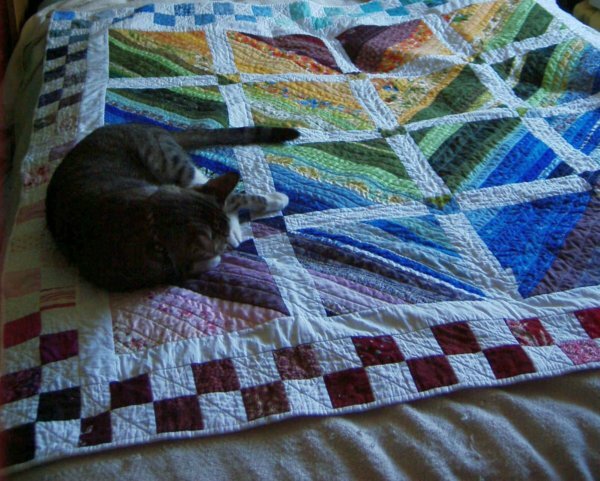 In the interest of full disclosure, this was the first quilt-y shaped thing I ever made. I don't really count it as a quilt for a few reasons. One, it's too stiff. The white fabric I found in my mom's scrap box was, like, upholstery weight or something. Also, it has nothing even resembling a binding. When I got to the edges I just rolled them under and sewed a seam. Both of these things are due to me not know anything more about quilting than "two layers of fabric with stuffing inbetween". It's based on this quilt, which was literally the first one to catch my eye on a google image search of "quilt". Like I said, I didn't know anything, I just wanted to try out my new sewing machine. I used a quilt-as-you-go method - it's the only quilt I've done that way - and it took me about 2 days from start to finish. It's ~4' x 6' and Not Even Close to square. I mean even wonkier than my quilts normally are. Overall, it may be better as a cat blanket, or to pad dishes when I move, but it's not too bad for a first "quilt". As you can see Wilson has found his new spot on top of fabric storage. That's the rolled up bargello quilt he's sleeping on top of. I'm excited to have more room here and actually be able to unpack my fabric so I can see it all - not that I've finished getting it all put up. I have finished sewing together the double irish chain top. It was supposed to be a leaders-enders project but I enjoyed piecing it so much I "cheated" and just finished it. All the colored patches are from a $10 scrap bag from my LQS. This top is 80" square and I've barely made a dint in that scrap bag! For this top the squares used were completely random, but for the next one (and there will be more!) I'm going to select a color scheme and stick to it. I'm thinking red and brown... or maybe blue and yellow. Now that I've dug my camera out of my luggage I promise to start blogging again. 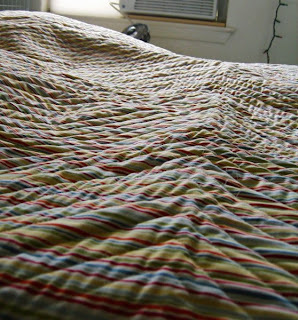 Tomorrow I need to roll back the rug in the living room and baste quilts. I now have 3 tops in the "To be basted" pile. Hope your week is looking good! I'm enjoying my last week with this little guy. 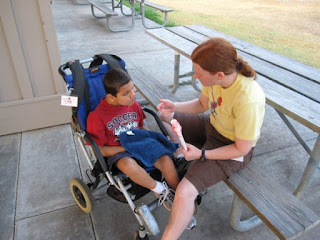 This was last summer at camp, trying out cotton candy (he liked it. Alot!) I've been taking care of him for a year; it'll be hard to say good bye. The sampler quilt is going to be for him. The Odyssea fabrics are suitably boyish without being too childish. My last day of work is next Wednesday, but I'll be going to camp again with him in July, so I have until then to finish it. I'm thinking 8 or 10 12" blocks set on point with some blue or green sashing. 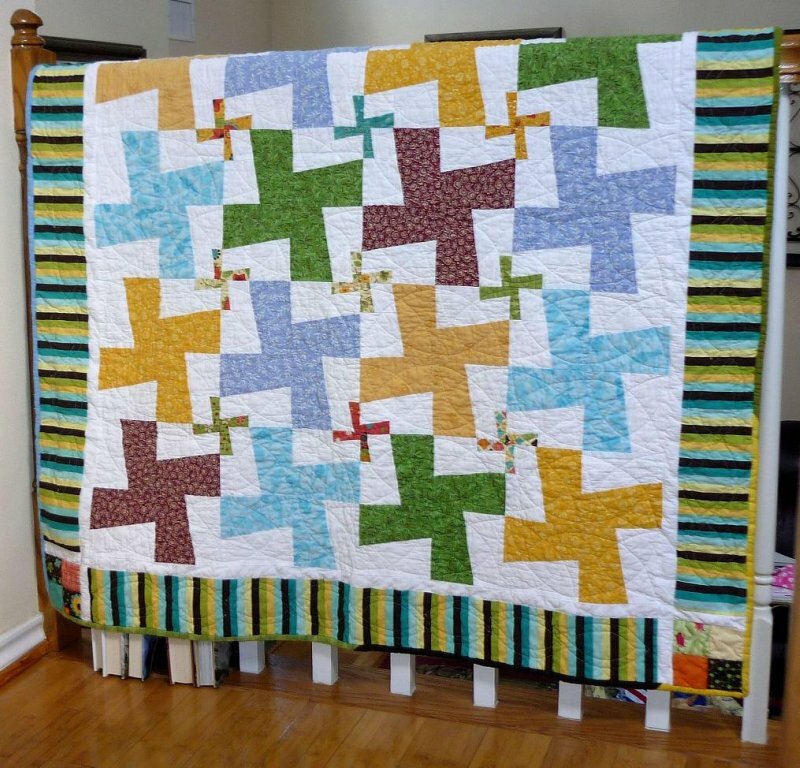 This pattern is for a charming double whirligig quilt, suitable for either a boy or girl. This can be done is a very simple color scheme with only 2 or 3 fabrics or makes a GREAT scrap quilt for a variety of fabrics. This would make a lovely, handmade present for a new baby or a toddler just moving to their big-kid bed. This pattern features detailed, illustrated instructions designed for beginning to intermediate quilters. 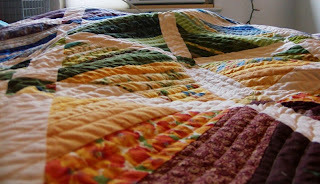 There are also instructions and advice on basting and quilting to finish your quilt. The pattern is in .pdf format (suitable for reading on the computer or printing) and in emailed to your etsy email address withing 24 hours of payment. Finished size approximately 50" X 60". The instructions are primarily for a toddler-bed or throw quilt but can be easily expanded for a larger quilt. Fabric requirements and cut lists for larger sizes are included! *NOTE: Replace fabrics A and C with 4 fat quarters (18" X 22" fabric cuts) or with scraps for a scrappy quilt! 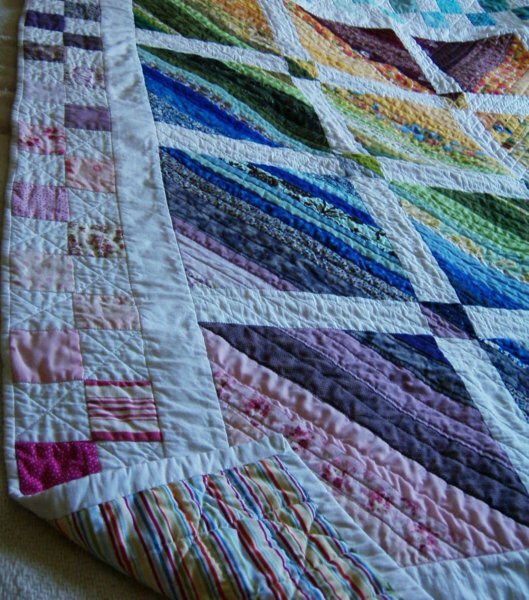 Here's a picture of the entire rainbow strings quilt. The border is made up of 100 different 2" squares. Joanne was kind enough to help me out with the final 13 after I ran out of different fabric. This quilt is destined to be a present for my scholarship donors; they'll be receiving it in a few weeks. I'm so excited to finally have another finish, all krinkly and soft from the dryer! I finished this yesterday but had to wait till today for pictures. 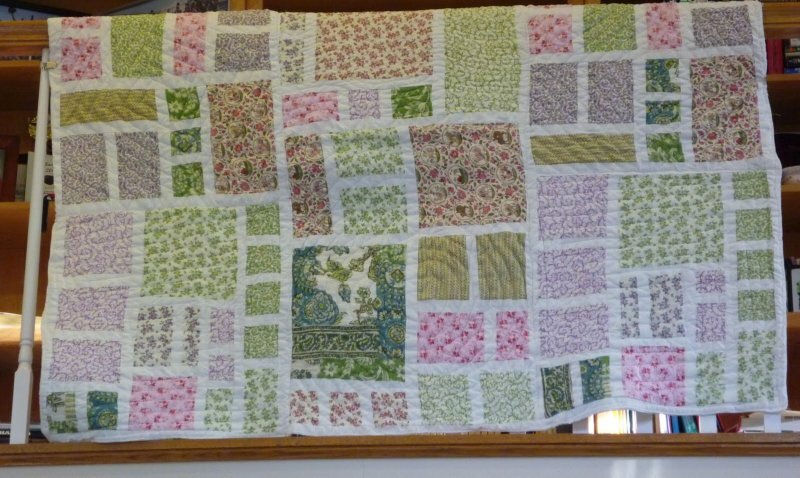 This quilt started out with foundation pieced string squares from my scrap boxes and grew from there. I was trying to mimic half square triangles with the colors. It finished at about 54" square. I quilted it with V-shaped lines to match the string chevron design. On the border I outlined the colored squared and did cross hatches through to white ones. The backing is a striped sheet. I'm super pleased with the way this one turned out. For the record, this is what happens when I try to take pictures. Hope you had a good weekend!